A new dis-integrated circuit project to make a complete, working transistor-scale replica of the classic MOS 6502 microprocessor. "This is my C++ implementation of the MOS Technology 6502 CPU. The code is written to be more readable than fast, however some minor tricks have been introduced to greatly reduce the overall execution time." 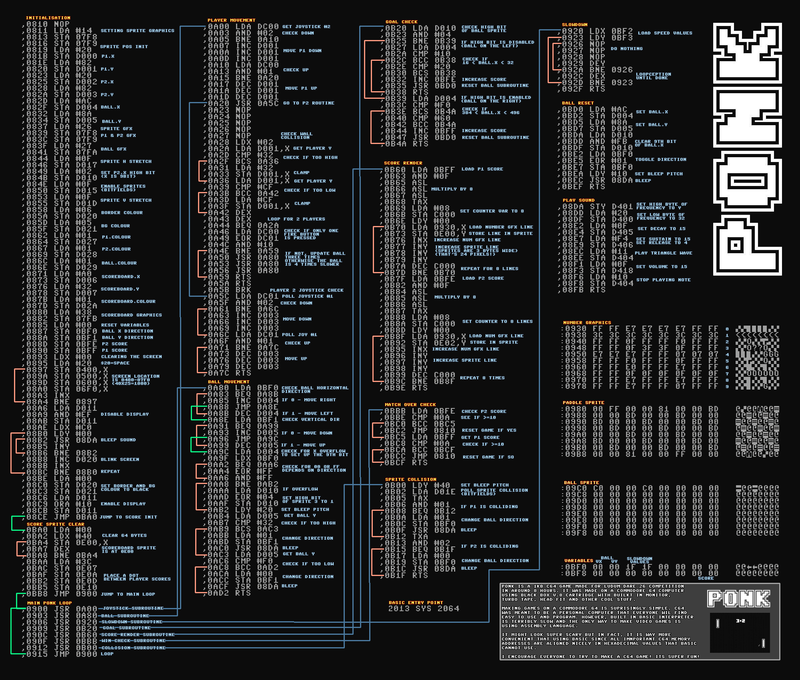 "A guide for programmers writing their own NES/FC emulator software. Provides many code optimization tips (with focus placed on the x86-based personal computing platform). Provides lists of features to implement in an emulator intended for public-domain release. Created in an effort to improve the quality of the user's NES gaming experience." Merlin 32 is a multi-pass Cross Assembler running under Windows targeting 8 bit processors in the 6502 series (such as 6502 and 65c02) and the 16 bit 65c816 processor. NESHLA is an assembler for the Nintendo NES which gives the features of high level languages such as C without sacrificing any efficiency or speed. It structures and simplifies coding the NES, while still using assembly language. Simulate 6502-based microcomputer systems in Python. This page has some information on implementing computer languages (beyond ordinary assembly language) on the extremely old and obsolete 6502 chips. A detailed, step by step guide to writing an emulator. Shown below are the instructions of the 6502, 65C02, and 65C816 processors. This is the story of an extremely unusual microcomputer. An industry-standard CPU chip is enhanced by off chip circuitry — a coprocessor — that boosts the machine's capabilities into a different class. 6502.org is a resource for people interested in building hardware or writing software for the 6502 microprocessor and its relatives. A rough 6502 emulator written in C#, as part of a NES emulator project. Described are several techniques I used to implement a NES 6502 CPU emulator; they apply in varying degrees to other 8-bit CPUs.